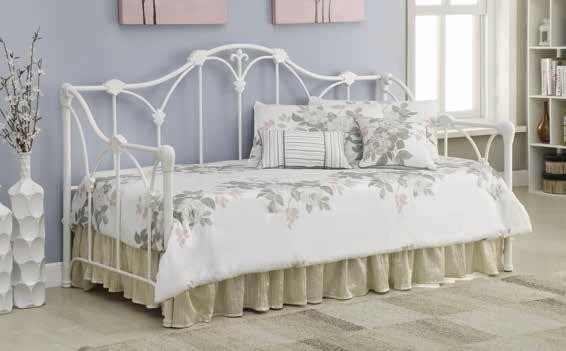 THIS CHARMING DAYBED IS FINISHED IN WHITE. LINK SPRING INCLUDED. ADDITIONAL INFO: THE POSITIONING OF THE PRE DRILLED HOLES FROM FLOOR TO HOLES IS 325MM.